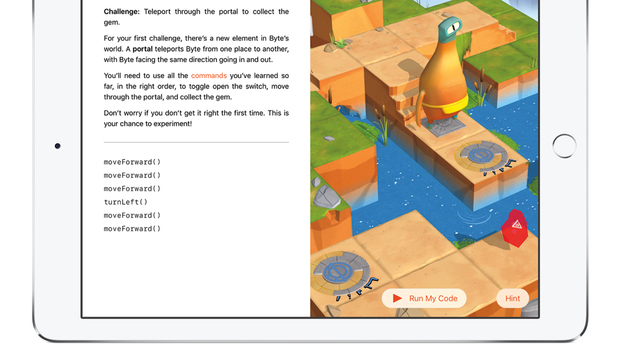 If you have a 64-bit iPad, Swift Playgrounds might be the best reason to install the iOS 10 public beta. Doing so automatically adds a “Playgrounds” icon to your home screen, where you can start learning Apple’s own Swift programming language in a kid-friendly setting that feels more like a puzzle game than a coding class. Swift Playgrounds will launch to the general public this fall with iOS 10, where it’ll be a free download in the App Store. But if you get started now, all your progress will be saved when you transition from the iOS 10 beta to the final shipping version. The app currenly includes an Introduction to Swift lesson pack that requires no prior programming knowledge, as well as two more open-ended Challenges that build on what you’ve learned. More lessons and challenges will be available later on, and all the downloads are free. If multiple peope in a household share an iPad, you can even download multiple copies of each lesson and challenge, so everyone can work through them separately, as his or her own pace. We have a deeper dive into Swift Playgrounds and Apple’s inspirations for building it, and you can watch the video above for a guided tour of the app’s interface. Jump in and have fun! « Does entertainment trump security in connected cars?